I was pretty stoked when I found out that a branch of Moonleaf opened in Ortigas Home Depot and that there was a cupcake shop around that area, too! 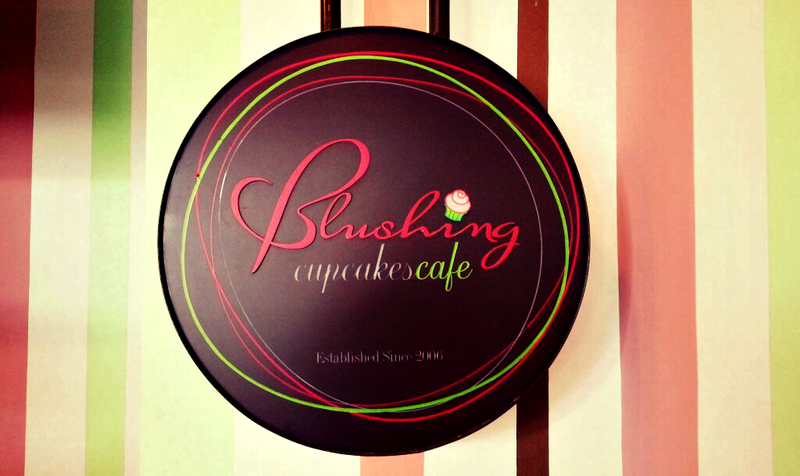 We dropped by Blushing Cupcakes Cafe last March and was all giddy to taste their cupcake offerings. We were pleased to know that aside from being a cupcake shop, they also offer pasta and rice meals. The store interior was actually cute with all the prominent pops of pink. 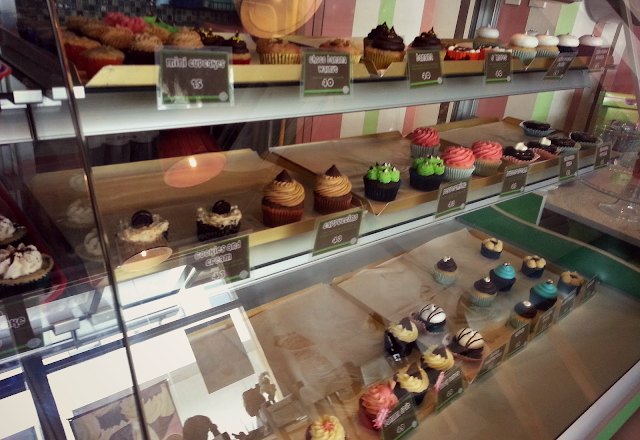 I was a bit disappointed when the cupcake trays were almost empty considering it was 12 noon (and they open around 11 AM). I was expecting trays of colorful, freshly baked cupcakes but this is what we saw when we got there. But still, it didn't stop me from buying a few pieces to try. Haha! Okay. So I've read too many great reviews about Blushing Cupcakes but I was surprised that somehow the experience was not the same for me. The cupcakes indeed look delicious but the taste fell short. I was kind of anticipating that wow factor but it fell right under the just okay category. The cupcakes actually look very inviting. I was really counting on the Black Velvet cupcake because it's an offer unique to their store. But I found the base cake dry. And for most cupcakes, the frosting was a bit too sweet for me. I can't even figure out why that pink cupcake on the bottom right was named Banana Split. But I'd still come back to try their other flavors, and maybe their rice meals, too! But I guess all the vibrant colors and extra sweetness really does have an appeal to kids. 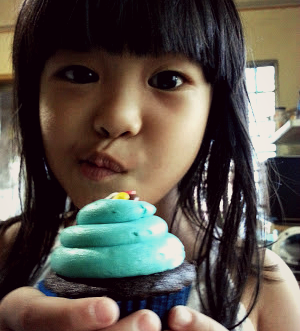 Because my friend, Ian, brought his cupcakes home for his niece and he told me that she really enjoyed it.